Panorama of one of the themed sections of the mall. 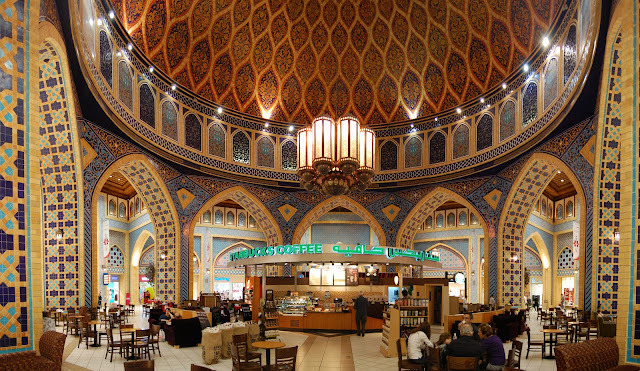 Today we ventured off to the Ibn Battuta Mall. It's all the way at the end of the metro line so we had never been out there before. 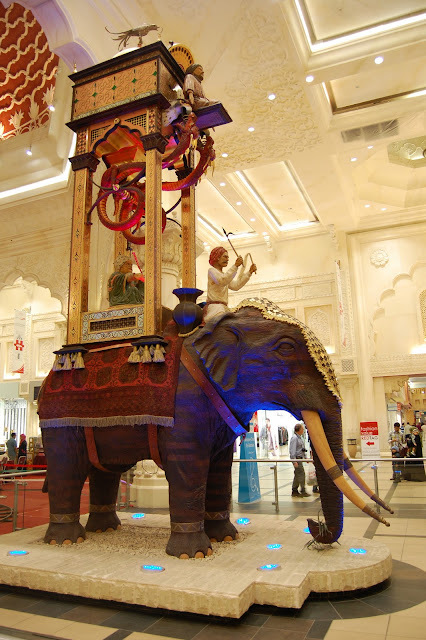 It's a themed mall that's based around the travels of an explorer named Ibn Battuta (hence the name). 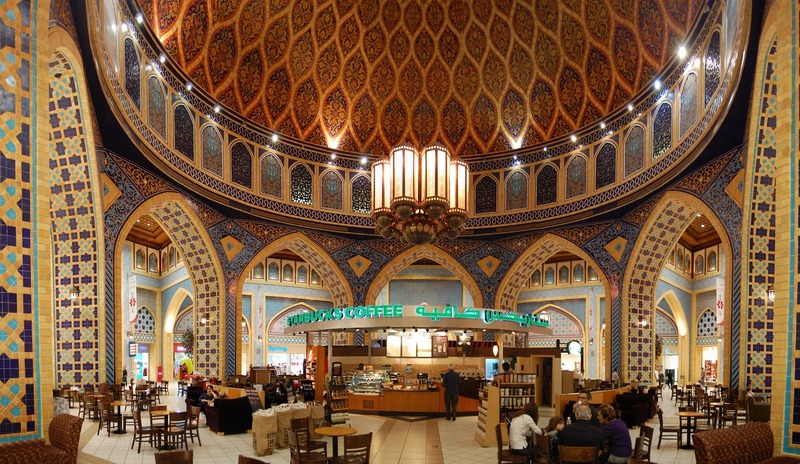 Another themed section of the mall, with a Starbucks right in the middle. Me Mike Walsh Steve and Dylan went to the LimeTree Cafe for lunch. Everyone else went to a Chinese place I think. The food was great and Steve got this huge piece of carrot cake after lunch. It was delicious (I tried some). I almost got one but decided to hold back. Later on, Mike Walsh and I got this really good frozen yogurt stuff from a place called Yogenfruz. Apparently Yogenfruz exist in America I've just never been to one. Steve, Mike Walsh and I decided to go to the movie theater (in the mall) to see The Green Hornet. It had Seth Rogan in it and was pretty funny. Ill have to watch it again just for some of the one liners in that movie that I forget. There were some really funny ones. On the way back from the mall, Steve Mike Walsh and I decided to check out an Irish Pub that was only one metro stop away from the Ibn Battuta Mall. We had a coupon for it and we figured we weren't often in the area. MacGettingans had a cool atmosphere. There were lights in the bar that were always gradually changing colors. We got some drinks and hung out for a while. We decided it was a cool place but it wasn't worth a return visit because of the distance and the higher prices. Fibber Magees is still the reigning champion of Irish pubs in Dubai. Caught the last metro train back to Etisalat.